See all the best Festival & Events tours in Italy. There are 5 trips to choose from, with the tours varying in length from 9 days up to 15. 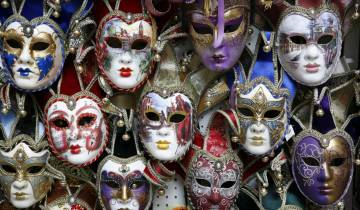 If masquerade balls, gondola rides and candlelight dinners sound like your cup of tea, then a Venice Carnival tour should be next on your must-do list. The carnival ends on Martedí Grasso or Fat Tuesday, so make sure you’re there for all the fun.